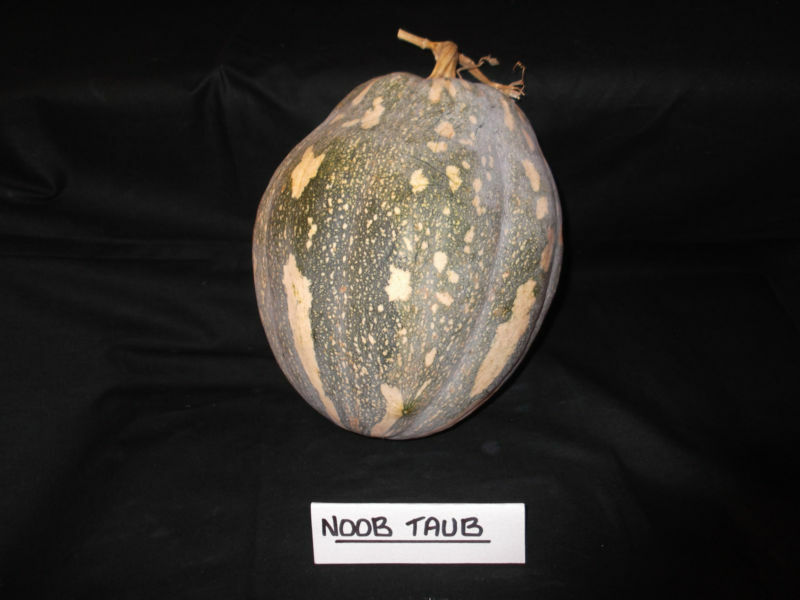 Noob Taub is a 6-8 lb spotted fruits start out grey-green, turning yellowish when ripe. 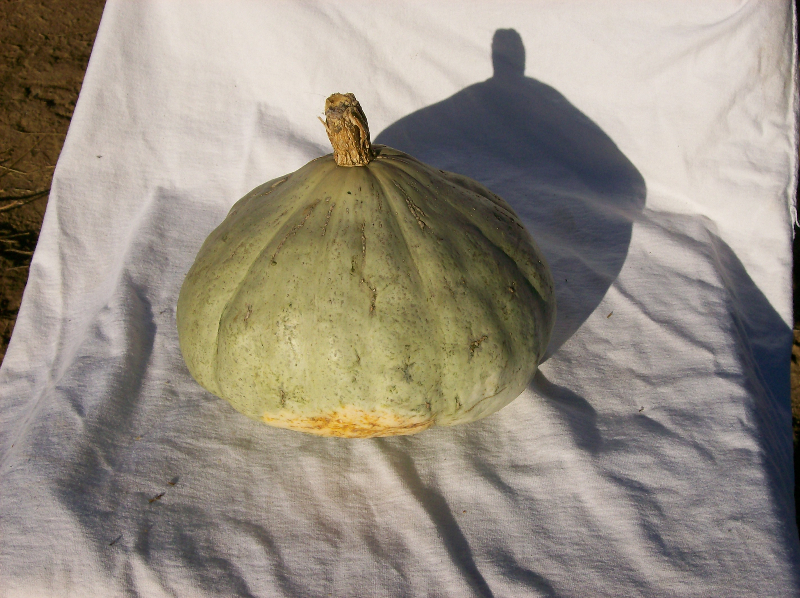 Shapes vary from a round, slightly flattened pumpkin to a more unusual bottle shape. 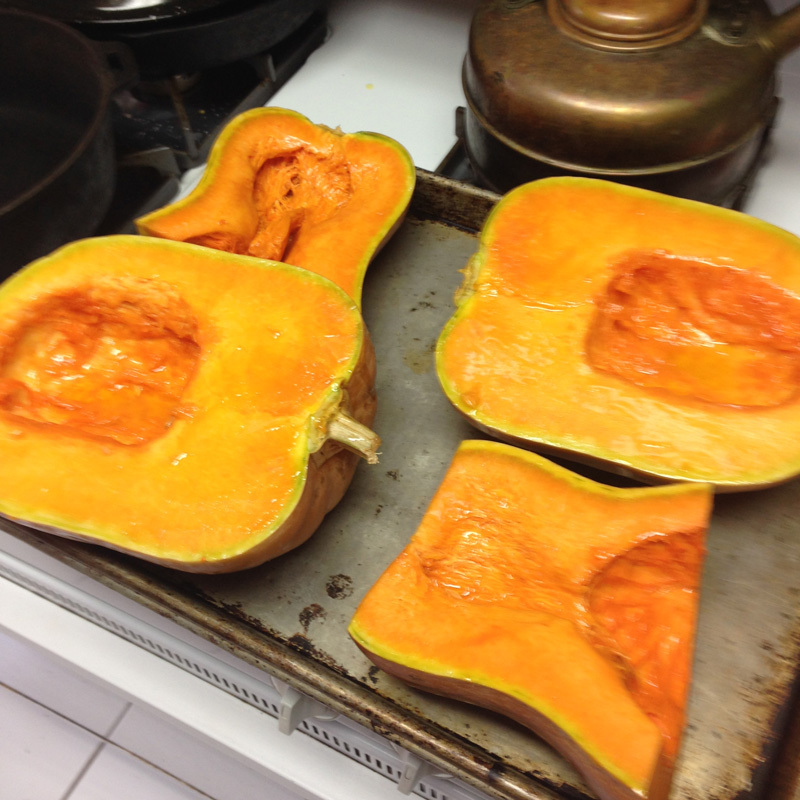 Flesh is very thick, grading from intense orange nearest the skin to very pale in the interior. 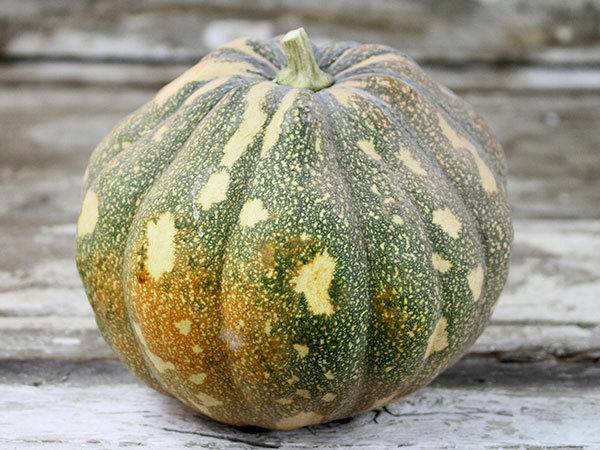 Flesh not particularly sweet; our grower recommends it for savory recipes rather than dessert uses. 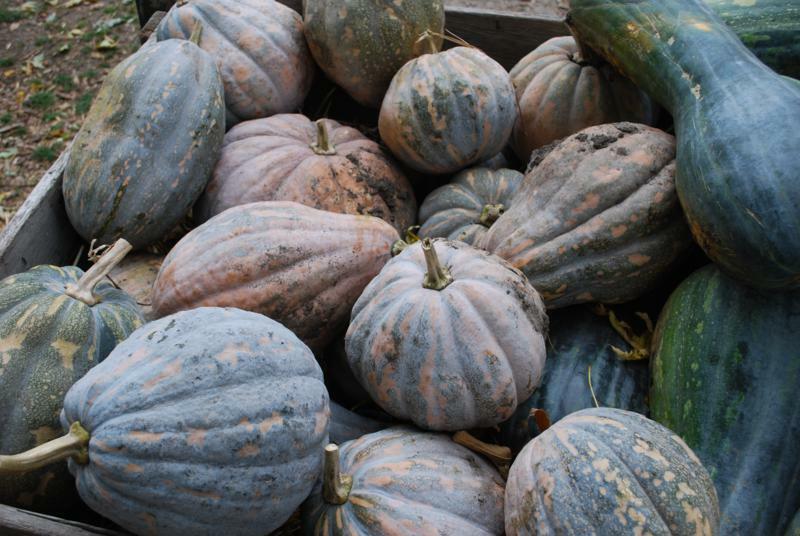 Originated among the Laotian Hmong people. 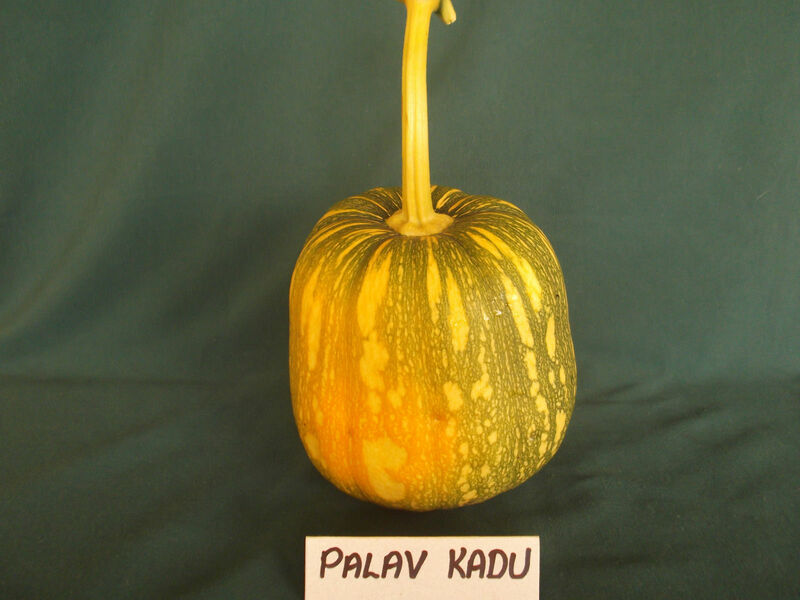 Palav Kadu is an heirloom pumpkin variety from the area that encompasses Tajikistan and Uzbekistan. 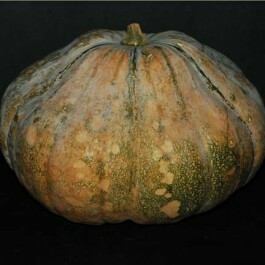 The fruit is cylindrical and flattened on both ends with a smooth rind that starts out green with cream spots and changes to a dull buff-orange colour as it matures. 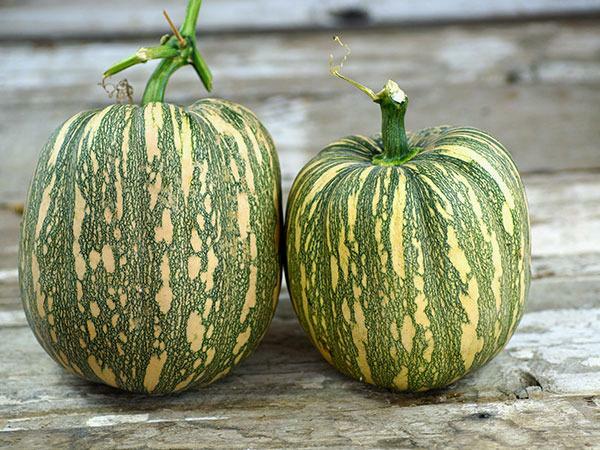 The medium size vine is a great producer of fruit up 3kg but around 1.5kg is the norm, in a speedy 85 days. 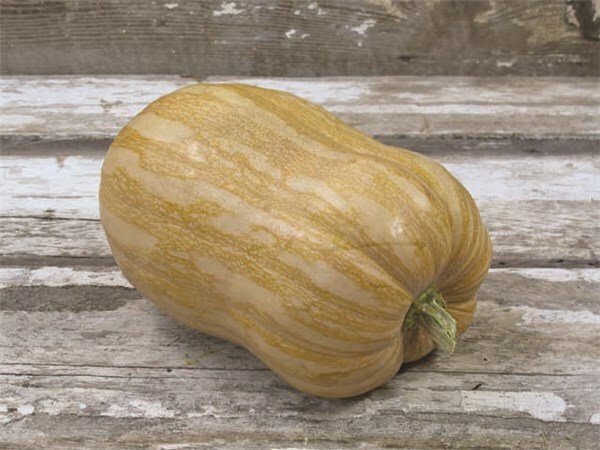 Flesh is a strong yellow colour, firm, dry and sweet with fine flavour. 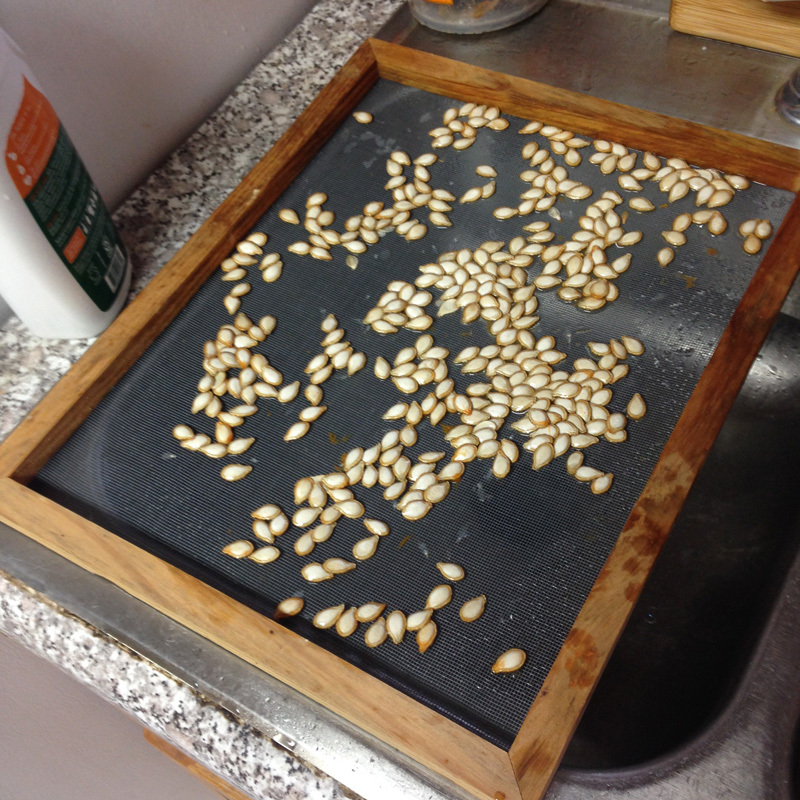 The seeds are all in the bottom part of the fruit, which means the top part is all flesh. 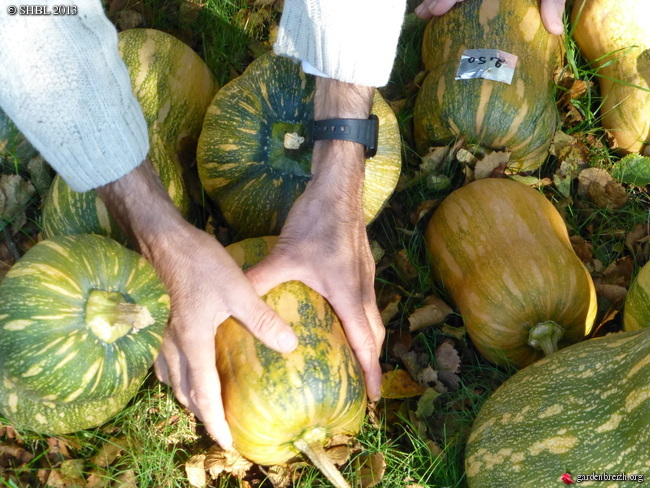 It can store up to 6 months. 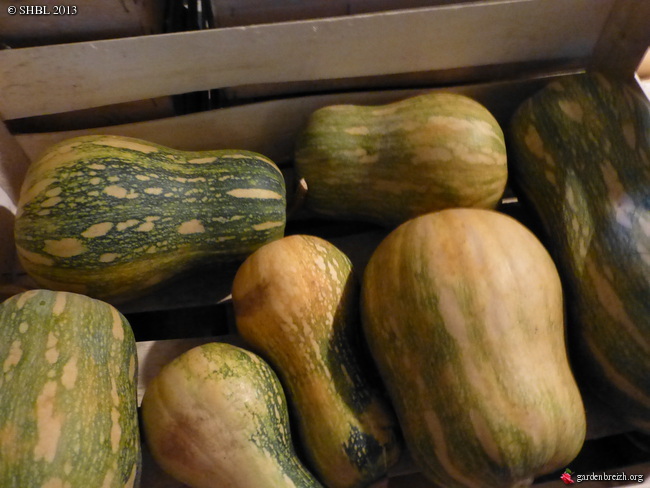 In the Tajik language, the name translates as "squash for palav" which is a very well known local dish. 100 days.